We all have experienced it’s very time taking task to handle all validations for a single text field like empty validation, characters limit etc and to manage them in a efficient way. 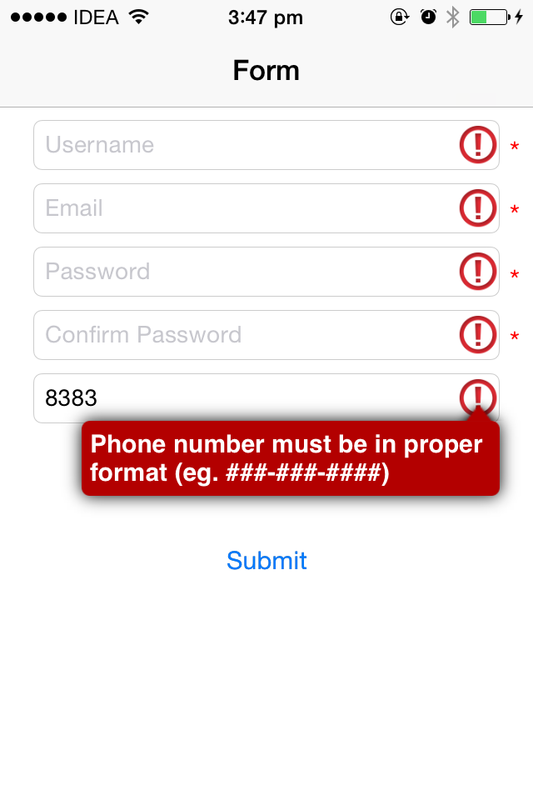 It is very annoying to show validation alerts for each text field, so if you have so many text-fields in a form and each text field have average of 2 validations then user may get frustrated to get so much alert during filling the form. To overcome this problem I have created an inherited class of “UITextField” called “TextFieldValidator” in which you just need to give them all the regex string that you want to validate in a particular textfield, no matter how many types of validation you want to perform you just need to give them in sequence. I’m sure this will save your lot of time in development and good news is that you can easily integrate “TextFieldValidator” into your previous application without putting much effort. 1. 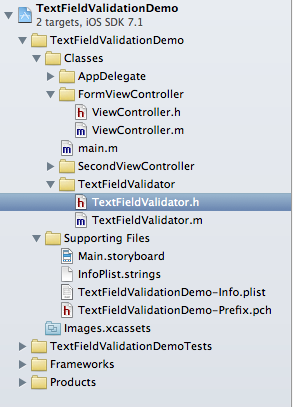 Include “TextFieldValidator.h” & “TextFieldValidtor.m” in your project. 2. Add error icon file that will show on the textfield at the right side when any validation get failed. 1. Either you can drag UITextField in the view, change their class name to “TextFieldValidator” and create outlet or create instance programmatically. 2. You need to assign a view to “presentInView” data member of “TextFieldValidator” class on which you want to show error popup. If you are managing text field from storyboard/xib then you can directly assign outlet of “presentInView” to any view. 3. You can assign delegate in the similar way as you do for UITextField. You can assign all your regex to the textfield inside viewDidLoad method of ViewController class. Make sure you are using ‘&’ operator for validate multiple textfield in ‘if’ condition otherwise it will check only first field if you use ‘&&’ operator. Lets take an example of registration form that contains 5 fields in which “Username”, “Email”, “Password” & “Confirm Password” are mandatory and “Phone number” is optional but phone number should be in proper format. Image name for showing error on textfield. Background color of message popup. Font color of the message. Font size of the message. Font style name of the message. Padding in pixels for the popup. Default message for validating length, you can also assign message separately using method ‘updateLengthValidationMsg:’ for textfields. I hope this will reduce your lot of efforts for implementing validation stuff and thanks for reading. Please do comments on it so we can make it more better. 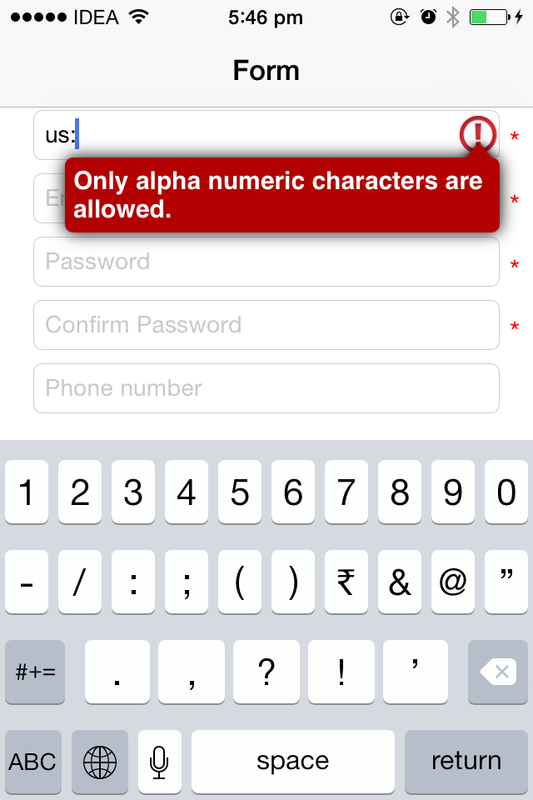 We all have experienced it s very time taking task to handle all validations for a single text field like empty validation, characters limit etc and to manage them in a efficient way. OS, can you help me to know what i`m doing wrong? Thanks for reducing developer headache as well as same for users. Library is awesome. I learn a lot from this. Thanks , Today I learned a new thing. Thanks for your work. Hope we also do such work. Thank you Dhawal, keep up the great work! Thank you Dhawal for this excelent library! Amazing!, just what I need.